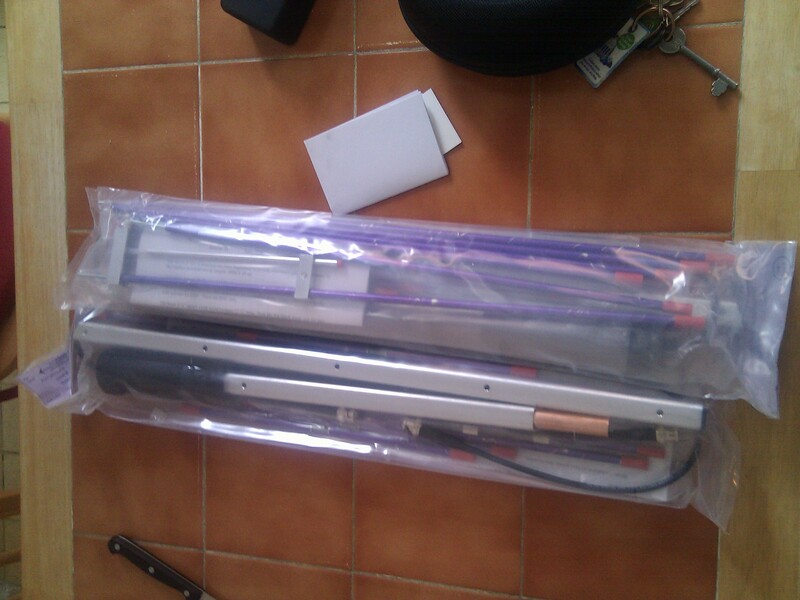 After returning from the Isle of Mull, I placed an order for two Arrow II Satellite Antennas, one being for Mark (M0MJH) and the other being for me! After they travelled across the Atlantic by plane and sat in UK customs overall time for delivery was 3 weeks and rather than waiting over the Jubilee period my sister took me to the Parcel Force Oxford Depo to pay the customs charges and pick them up! Due to the weather during the last couple of weeks I didn’t have much time to go out and play but during 11-12th June I decided to to give some of the AO-27 & SO-50 satellite passes a go during the weekend I managed 23 QSOs using the Arrow and the Yaesu FT-817 for tracking I was using the handy Hamsatdroid to tell me where to point the antenna. The only thing I’d love it todo is be able to give some idea of Doppler so I can use the 817 for SSB passes but currently it doesn’t offer this feature. On the 19th June 2012 I managed to get out in the afternoon and went to IO91IS and managed to work UR5BFX via AO-27 and had a listen to FO-29 really need to find/build an application which can give hints to-do Doppler correction even if its manually. Plan is over the coming months when its dry is to take the Arrow II and the FT-817 out with me cycling and go find some local grid squares and high points to operate from, and no doubt during the summer holiday period some operation in North East Scotland when time permits. Hi. 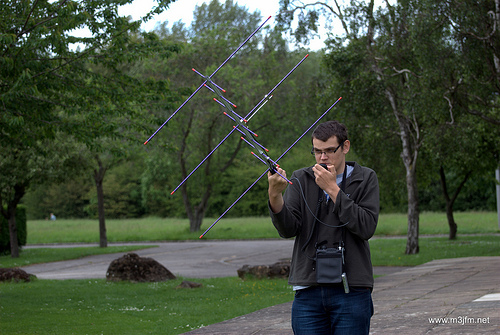 Very interested in the Arrow II Satellite Antenna you have. Would you recommend it? And which option did you buy and cost if you don’t mind. I have had a look on the Arrow website but it shows different options and i am not sure which option i would require. 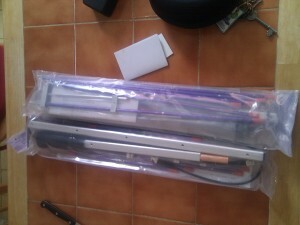 Would highly recommend it, I bought the 146/437-10WBP (http://www.arrowantennas.com/arrowii/146-437.html) which was roughly £119 shipped to the UK then had to pay Parcel force fees which where about £13 if I remember correctly. Did you consider the “ELK” antenna ? Left to my own devices I think I’d pick that one unless you have reasons to prefer the Arrow ? I just didn’t like the build quality of the ELK bit too much plastic.